A U.S. House of Representatives committee has reportedly launched an investigation into the Federal Trade Commission’s use of information from a peer-to-peer security vendor to bring a data breach complaint against a medical testing laboratory. On Friday, a lawyer representing a former employee of P-to-P security vendor Tiversa told an FTC administrative law judge that the U.S. House Oversight Committee was investigating the company. In a trial before the FTC judge, Atlanta medical lab LabMD is challenging the FTC’s authority to enforce data security standards, even though the agency has brought dozens of data breach complaints against companies dating back more than a decade. Lawyer William Burck, representing the former Tiversa employee, didn’t offer details of the House Oversight investigation during the public portion of the trial Friday, according to a trial transcript provided by LabMD. Lawyers didn’t discuss details of the House investigation with FTC Administrative Law Judge Michael Chappell in open session, but Jarrod Shaw, representing Tiversa CEO Robert Boback, said the company first learned of the investigation Friday morning. A representative of Representative Darrell Issa, chairman of the House Oversight Committee, didn’t immediately return a message seeking details on the investigation. A representative of Tiversa also didn’t return a message. An FTC spokesman said he couldn’t comment on the report of an Oversight Committee investigation. LabMD’s challenge could determine whether the FTC has the authority to bring data breach complaints against U.S. companies. Since the early 2000s, the FTC has reached nearly 50 data breach settlements with companies, including Twitter, Microsoft, data broker ChoicePoint, and retailers BJ’s Wholesale Club and TJX. The FTC filed a data breach complaint against LabMD in August 2013, alleging that the company, through P-to-P software installed on employee’s computer, had lost customer billing information. 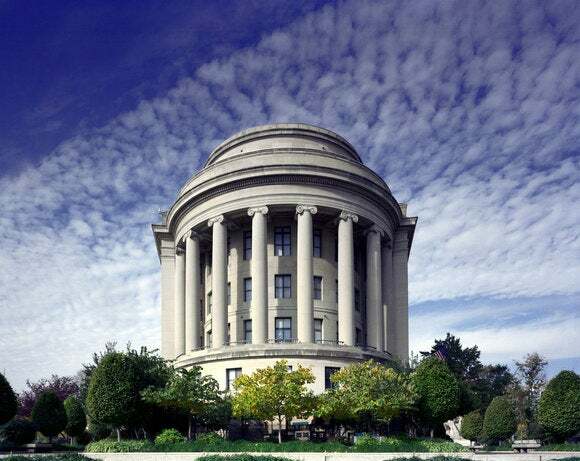 The FTC, in bringing a complaint against LabMD acted in a way that was “arbitrary, capricious” and an abuse of discretion, lawyers for the lab wrote in September. The agency has acted “contrary to constitutional right” and “in excess of statutory jurisdiction,” LabMD’s lawyers said then. LabMD tried to halt the FTC’s data breach proceeding by filing a lawsuit in U.S. District Court for the Northern District of Georgia in 2013. This month, Judge William Duffey Jr. ruled he didn’t have jurisdiction to stop the FTC’s case, although he was critical of what he called a lack of data security guidance issued by the FTC.